The Southern African Development Community (SADC) heads of state summit together with civil society organisations drawn from labour, students, youth, socio-economic justice and human rights networks will hold a two day parallel public meeting, – the SADC People’s Summit. The SADC People’s Summit will be held under the theme “Towards Social Justice, Youth Empowerment and Affordable Land and Housing For All”, from 16 to 17 August at the Windhoek Show grounds. The Summit, which gives a voice to ordinary citizens and various social movements, is a continuation of similar initiatives in the past years by the Southern African People’s Solidarity Network (SAPSN) social movement umbrella. “The annual heads of state summit does little to address the ongoing issues affecting the grassroots people such as access to land for housing, poverty elevation, corruption and unemployment. 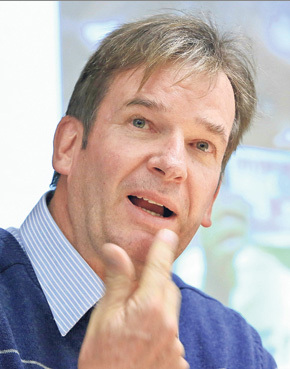 That is why the SADC people hold this summit to unite in determining our destiny in all spheres of life by holding our governments accountable for representing out interest and building a better SADC for us.”: said Herbert Jauch of the Economic and Social Justice Trust. Over a thousand delegates from Mauritius, Zimbabwe, Madagascar, Lesotho, Zambia and other countries will join Namibian civil society organisations and activists to continue to demand from their leaders meaningful socio-economic benefits based on the grassroots people’s perspectives. According to the organisers, on 16 August, various discussion forums, presentations and declarations will be shared in the breakaway workshops that will allow cross border exchange and cooperation. The envisaged topics will include access to land for housing, natural resource governance, labour rights, state of service delivery in SADC, challenges facing rural women, corruption, youth participation in decision making, decent employment, controlling corporate power etc. Meanwhile on 17 August, a communique from the People’s Summit urging all member states to strictly adhere to and promote socio-economic justice as they carry out their duties, will be officially presented to the heads of states upon the end of a march which will take place from Windhoek Show Grounds to the Zoo Park. The event is free and open to public and will address ongoing various challenges affecting SADC citizens.